Currently viewing the tag: "Polaroid"
Read more Polaroid Z340 reviews: ArsTechnica, PCMag, DigitalVerses, Mashable, DigitalCameraInfo. 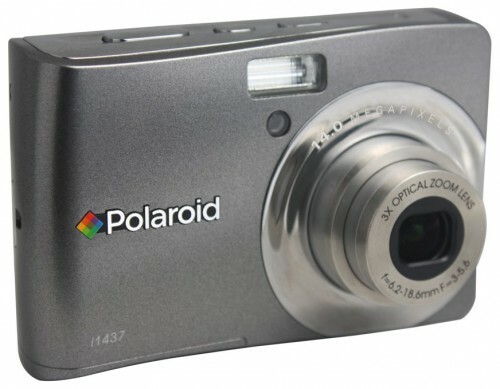 Polaroid Grey Label Z340 Digital Camera and Printer Hands On Preview (pictured above) at ePHOTOzine – the return of the instant polaroid camera, but this time with a 14 megapixel camera, 2.7″ flip out screen, and 3 x 4 inch zink prints. 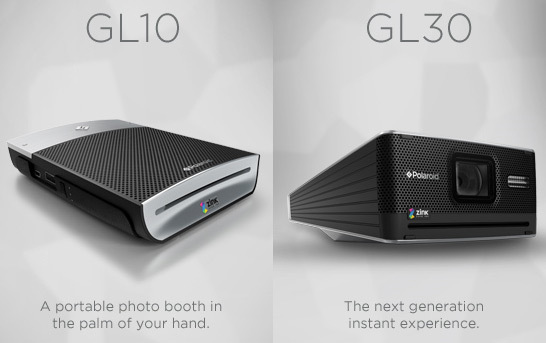 Polaroid has announced the new Grey Label GL10, GL20, and GL30. 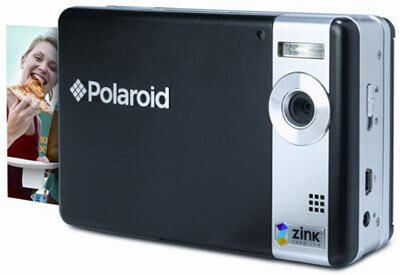 The Polaroid GL30 is a new instant 12mp digital camera, with built in zink printer and swivel screen, although it appears to be in prototype stages as specifications, price and release dates are unknown. 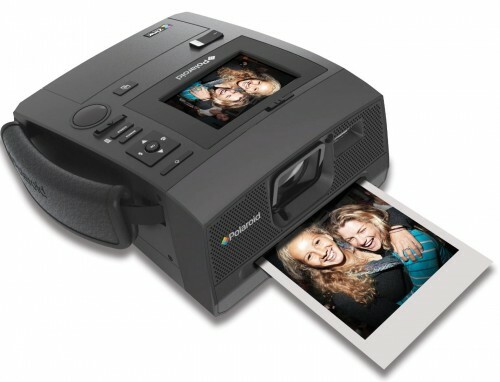 The Polaroid GL10 is a new bluetooth printer, available in May for $149, much like the original Polaroid Pogo Printer. 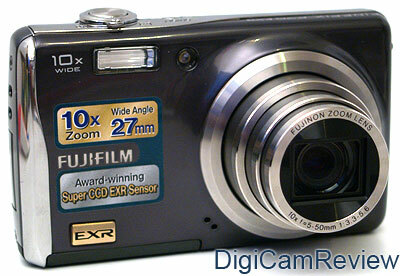 Both the instant camera and printer prints 3 x 4″ photos. 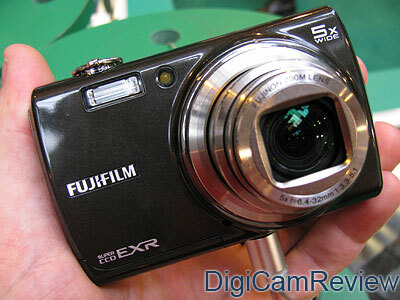 Engadget went hands-on, and there are more pictures at Crunchgear. 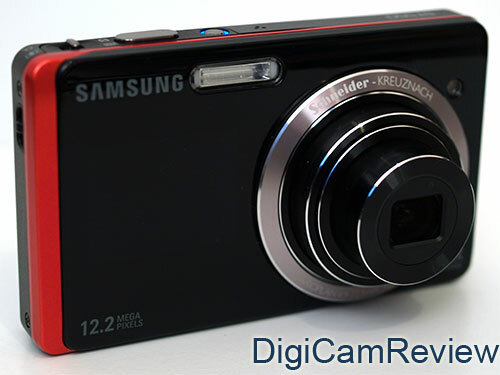 This year has seen a large number of interesting new digital cameras appear – digital camera’s had to innovate this year just to get noticed! And with that in mind I’ve added a new section to the “Top Digital Cameras Reviewed” section called “Best Tech” which is short for “Best New Technology” – in there you’ll find some of my personal favourites, or most innovative new digital cameras, such as the Olympus PEN E-P1 which introduced a whole new category of camera, the Fujifilm FinePix F70EXR the world’s smallest 10x optical zoom camera with Fujifilm EXR sensor, the Ricoh CX2 with 5fps shooting and an impressive high resolution 920k 3″ screen, and the Casio Exilim FC100 with 30fps shooting and ultra high speed video (upto 1000fps shooting!). Another great camera from this year is the Panasonic Lumix FS7, it’s compact, stylish, takes great photos, and is also one of the cheapest cameras available, priced at £105, with real optical image stabilisation – which means that more of your shots should come out blur free! Panasonic were on top form this year, with every new camera providing something new, innovative, or just great value for money, such as the Panasonic Lumix TZ6 (ZS1), it features a 25mm wide angle 12x optical zoom lens, image stabilisation, and 10 megapixel sensor, and proves that you don’t have to buy a huge camera to get a lot of zoom! This year saw the continuation of the megapixel race, however, this was mainly confined to the mobile phone world, where everybody seemed to race to 12 megapixel camera phones, with the introduction of the 12 megapixel Sony Ericsson Satio (and others), while the digital camera world realised less is better, and “downgraded” to 9 and 10 megapixel sensors. 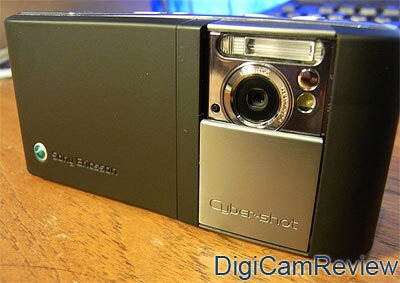 The 8 megapixel Sony Ericsson Cybershot C905 (reviewed here) showed that with some effort you can get some decent shots from camera phones. 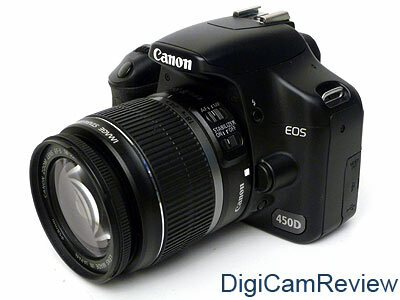 Don’t forget to buy a large memory card for your camera – I tend to buy Sandisk and have never had a problem with them! Have a look at our guide to memory cards for details on all the different kinds of memory cards, or for something more extreme, have a look at Samsung’s new Waterproof Memory Cards. While we’re on the subject, hopefully next year will see the death of XD memory cards, with only Olympus still using them. If only Sony would stop using Sony Memory Sticks, although considering they use it in everything they make, I think it’s quite a long way off yet. Some manufacturers, have switched to MicroSD cards in some of their products, such as the Samsung ST550, but am I the only one who thinks these cards are TOO small? 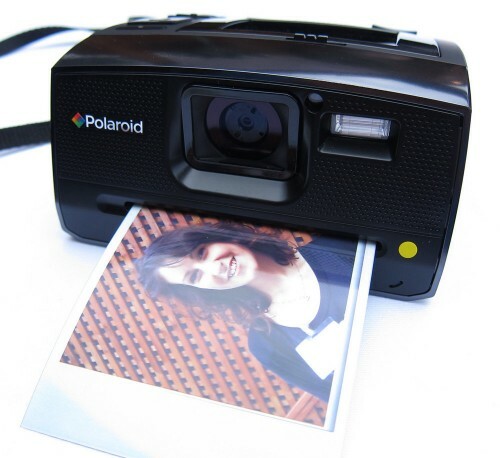 At £149 the Polaroid Instant Digital Camera seems expensive as it only has a 5 megapixel camera (with no optical zoom and dubious image quality), and you’d probably be much better buying any budget camera, and buying the Poloroid Pogo Instant Printer instead, priced at only £23! Amazon UK are now selling the new Polaroid Pogo Instant Digital Camera and Printer called the Polaroid Two, it uses the Zink printing technology, as featured in the Polaroid Pogo Mobile Printer – features a 5mp camera, 3″ screen, no optical zoom (4x digital zoom), prints 2″ x 3″ photos, and takes SD cards. It is available for £173, although you might get better results and value for money by buying the Polaroid Pogo Mobile Printer and a seperate camera. More details at Polaroid. 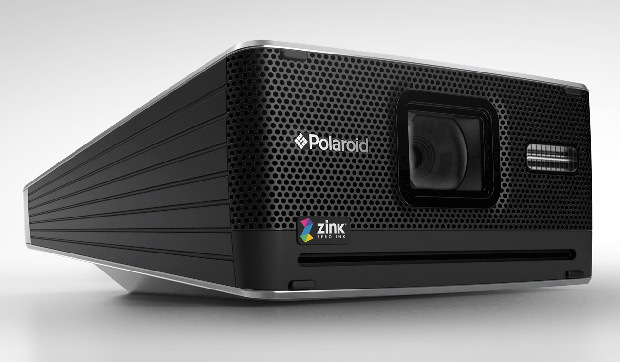 Firebox are taking orders for the new Polaroid Pogo Instant Digital Camera and Printer called the Polaroid Two, it uses the Zink printing technology, as featured in the Polaroid Pogo Mobile Printer – features a 5mp camera, 3″ screen, no optical zoom (4x digital zoom), and is available for £229. Ouch! 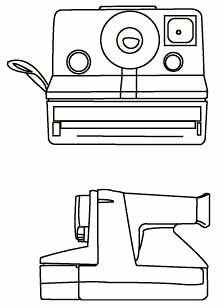 More details at Polaroid.